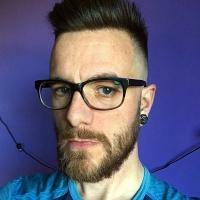 Singletracks may receive compensation for purchases made through affiliate links in this article. 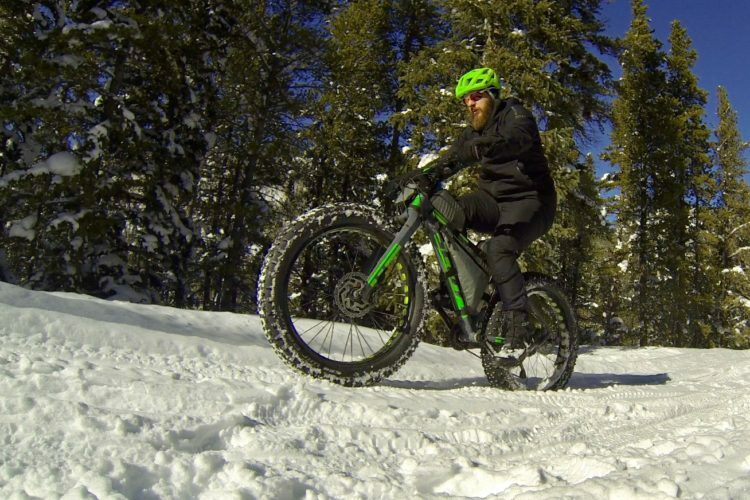 To the most dedicated, mountain biking is a year-round sport. Sub-freezing temperatures need not keep riders indoors, just as long as they have the right gear. The Giro Ambient jacket was designed to eliminate any remaining excuses mountain bikers might have about riding on cold, winter days. 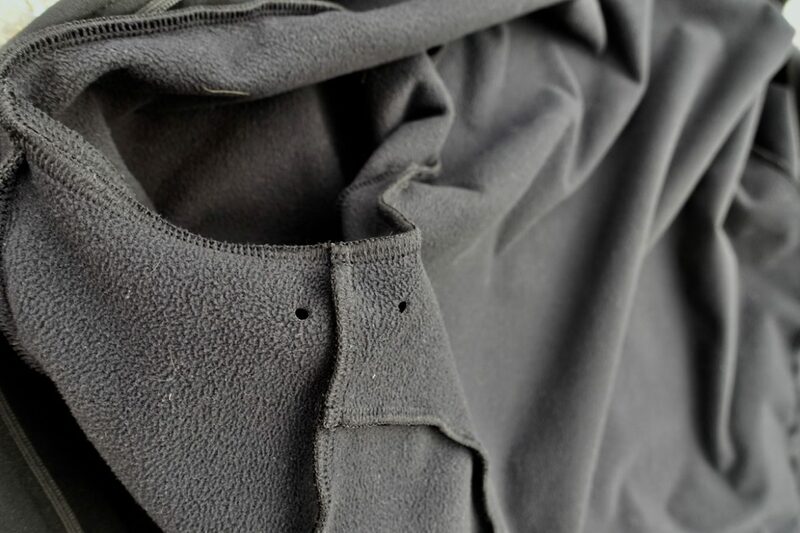 This polyester jacket starts with a fleece layer inside for insulation and a soft, warm feel. 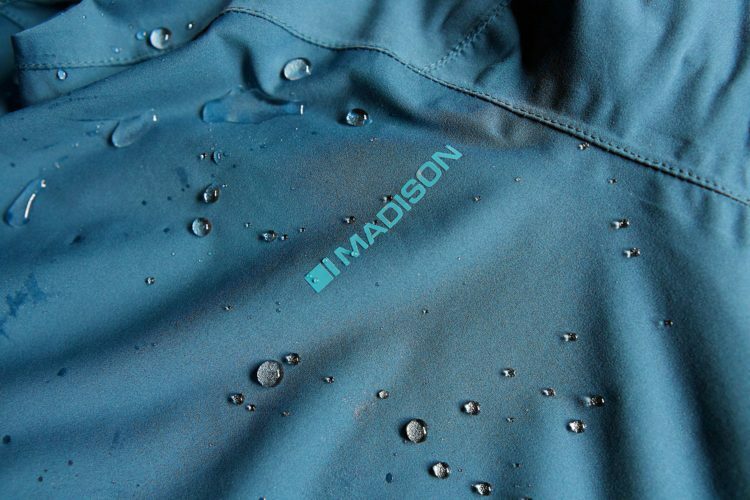 On the outside, the jacket has a smooth finish with a waterproof coating to keep water droplets rolling on their way. The fabric is stretchy in all directions for comfort and to make it easy to move on the bike. 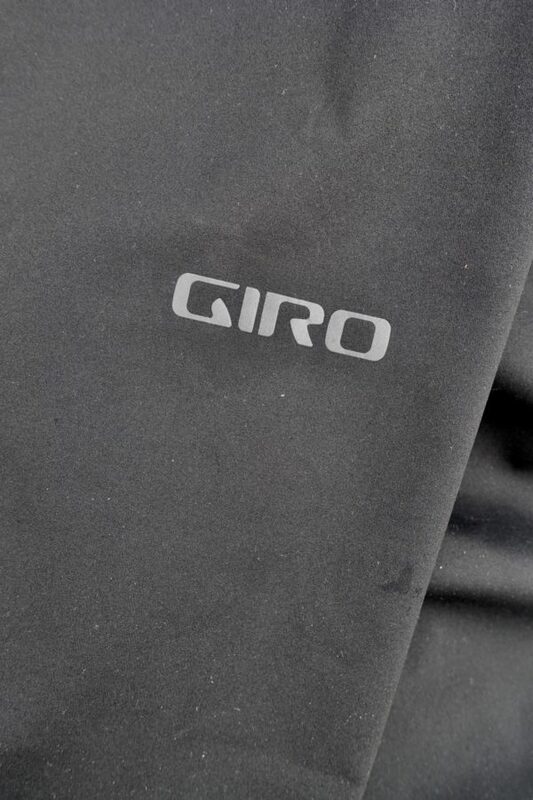 Giro included an oversized hood on the Ambient jacket that’s designed to fit over a helmet if that’s your thing. 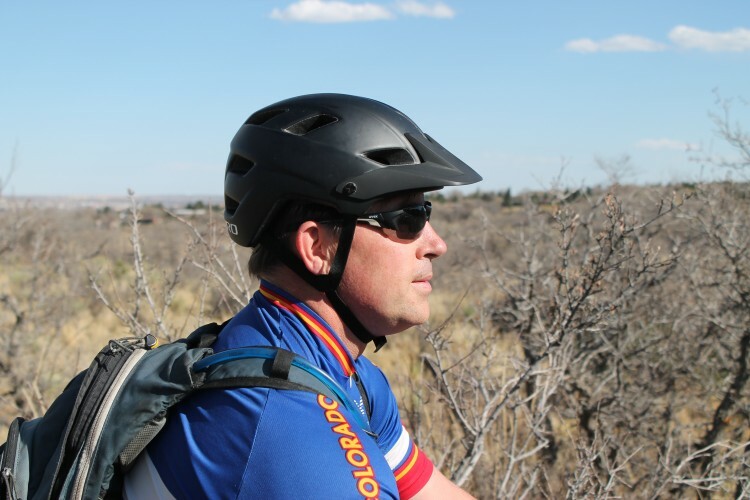 I’m not a big fan of cycling with a hood because it cuts down on my peripheral vision and tends to press down on my helmet, but it’s a nice option to have in extreme conditions. 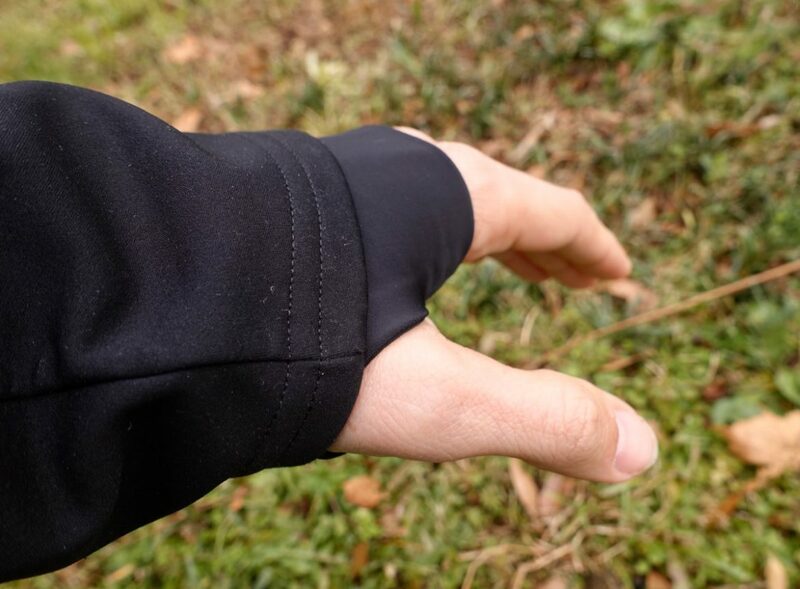 The inner sleeve cuffs feature thumb holes for added warmth, ensuring full wrist coverage when wearing gloves. 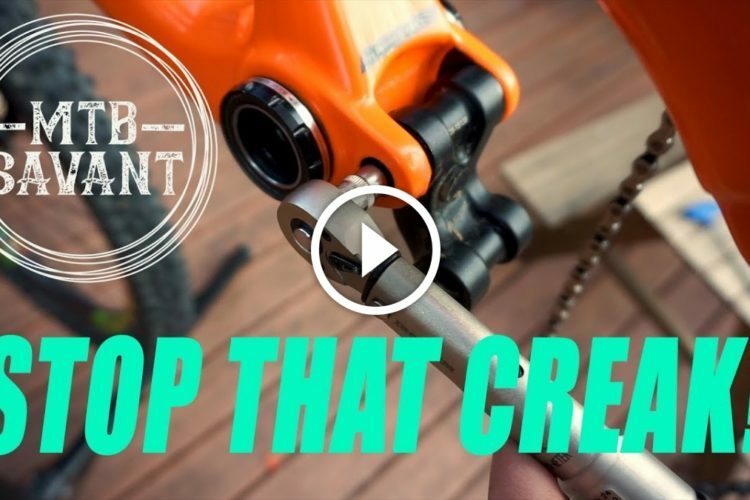 Again, this is a great feature, though not one I use on the bike a lot because I find it uncomfortable when gripping the bars. Zippered hand pockets provide secure storage and/or a convenient place for warming hands. The main zipper seems to be high quality, and I really like how it goes all the way up to my chin. 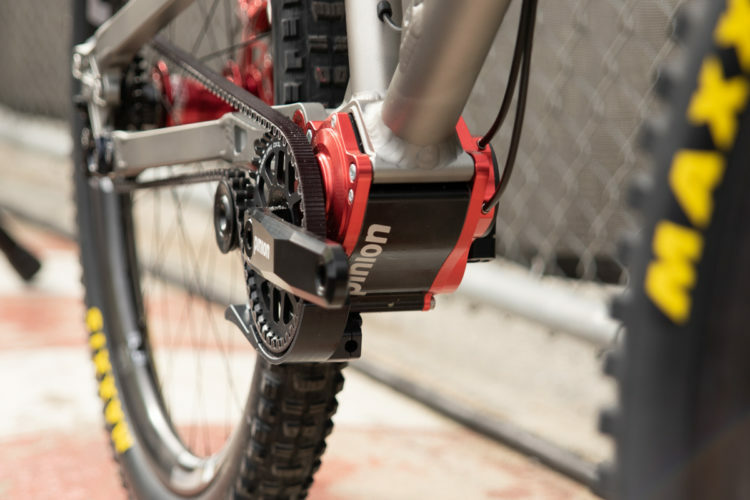 This feature is crucial at blocking out the wind, especially on the bike. With other jackets and jerseys I tend to need to add a neck gaiter to cut cold wind, but not with the Giro Ambient. 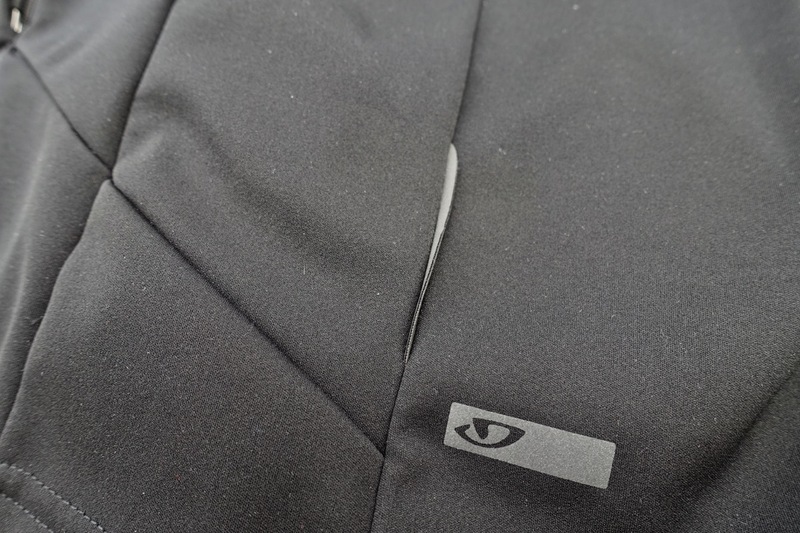 Finally, the Ambient jacket features pretty subtle logos, giving it an overall sleek and simple look. This is actually a hidden feature as well, as the logos and highlights are reflective for night riding operations. I’ve had a few occasions to ride in the Giro Ambient jacket already this season, and it’s worked out great. One early morning ride started in the 20s, and it was one of those days when I really had to pull myself out of the warm car to get going. Having the Ambient made the transition into the cold much easier. Vent holes in the armpit. 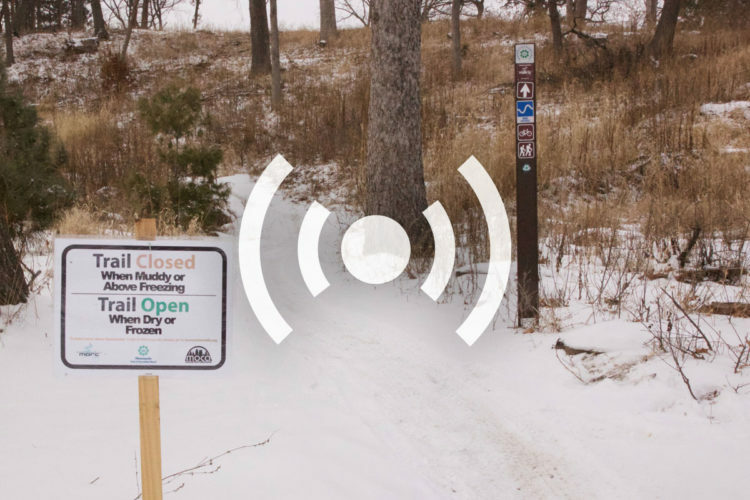 One of the issues mountain bikers face when riding in the cold is temperature regulation. Overdress, and sweat will come. I found the Ambient does a good job regulating body heat thanks to vent holes under the armpits and the breathable fabric selection. 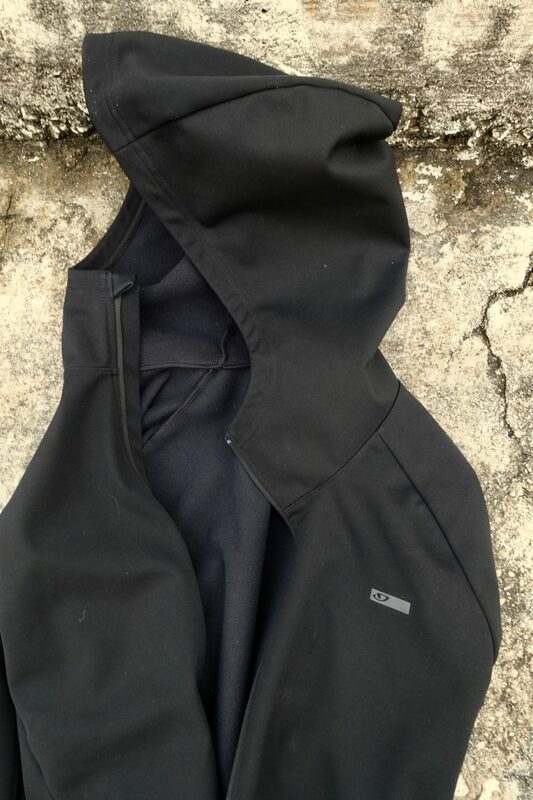 The full zip makes it easy to open the jacket up on the climbs, then close things down for windy descents. The jacket moves great on the bike too. 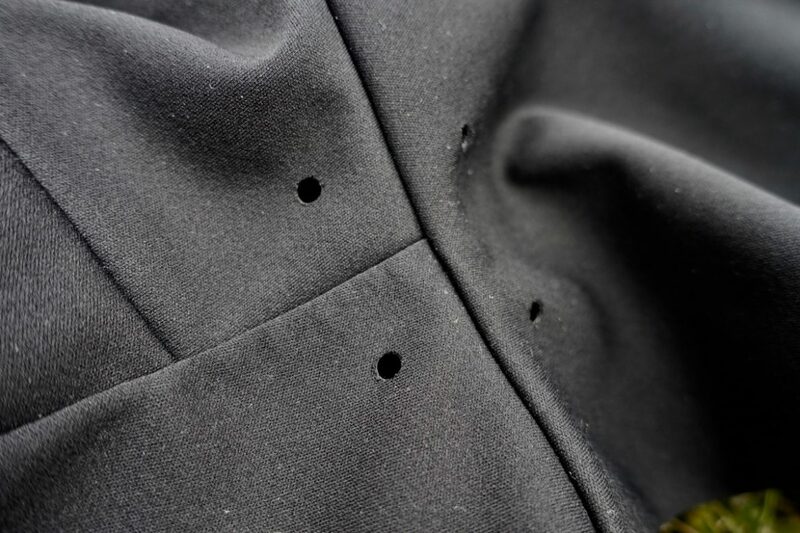 The fitted design means there’s no excess fabric flapping around, and even the hood tends to stay in place when not in use. I tested a size large jacket which is probably a half-size too big for me. The good news is the arms and tail are plenty long for my 6’3″ frame. 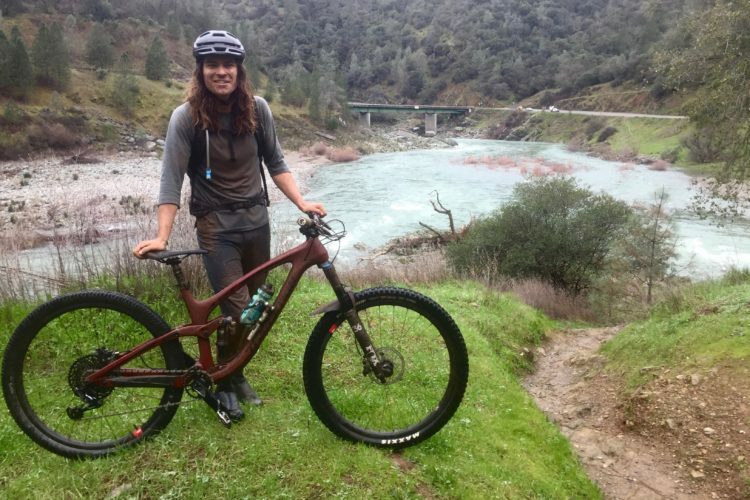 Truthfully I’ve been wearing the Ambient off the trail a lot this season too. It’s my go-to jacket for winter bike commuting to the office, even on misty and rainy days, and especially on cold ones. My regular, casual jackets haven’t been getting a lot of use this winter since the Ambient tends to stay on top of my coat hook. The one feature I would like to add to the Ambient jacket is a waist cincher to prevent cold air from working its way in from the bottom. Simply choosing a smaller size might help. 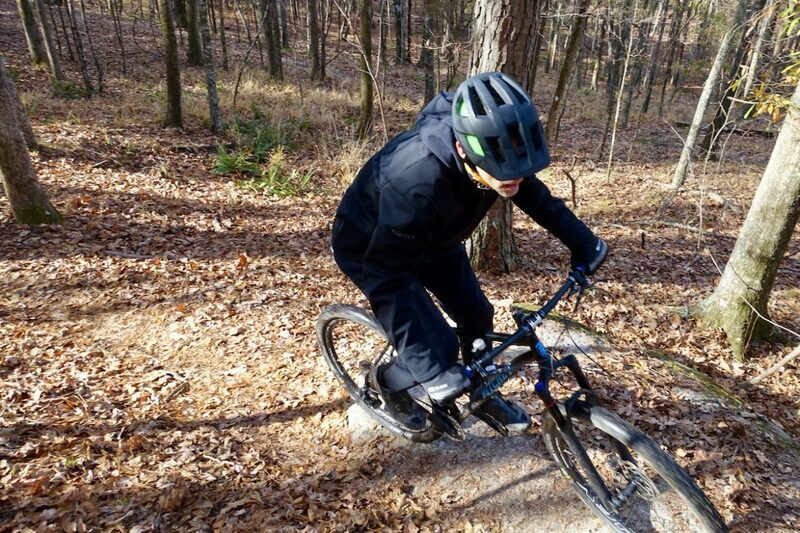 The Giro Ambient jacket is a great tool for extending the mountain bike season. It’s comfortable, versatile, and just what some of us need to get out out the door and on the trail this winter. Thanks to Giro for providing the Ambient jacket for review. Excuse eliminating gear. I dig it! This jacket looks stealth enough to wear to the local brewery as well, don’t you think? Funny thing is, bikers catch onto it immediately (maybe it’s the Giro branding on the sleeve). Just last weekend I had multiple people come up to me, out of the blue, and ask if I’m a rider.